The Starwood Preferred Guest Credit Card is a travel rewards card from American Express that has been consistently a top rated credit card in the travel rewards space for years. Cardholders who use this card earn extremely valuable starpoints, which can be put toward awards which will allow them to stay in some of the world’s nicest hotels. The Starwood Preferred Guest Credit Card has high value, that covers many different benefits and rewards, including a yearly free night that certainly covers the annual fee that the card has. This, along with all of the other perks of the card, makes it a great card for anyone who is interested in travel rewards. While this reward in itself is great, cardholders also have the option to transfer their points to the mileage program, which covers over 30 airline partners of Starwood. Let’s take a look at the benefits of the Starwood Preferred Guest card and see if it’s the right one for your wallet or not. The Starwood Preferred Guest Credit Card earns 6 points for every dollar spent on all Starwood Preferred Guest Reward hotels as well as all participating Marriott hotels and 2 points on all other purchases. For frequent travels, especially those who use Starwood and Marriott hotels, this is a fantastic way to gain valuable points that can be later redeemed for many rewards. As far as 2 points for all other purchases are concerned, that’s more than most travel reward cards are concerned, especially for all purchases across the board. Because Starwood merged in 2018 with Marriott, there is now much more options in how people can use their rewards compared to before. Because of the versatility of the points, cardholders have a wide variety of hotels to choose from if they choose to redeem their points for a good stay at a great hotel. These points can also be transferred to the airline rewards programs, which offers flight discounts for many airlines. Since the Starwood Preferred Guest Credit Card is a travel credit card, not having a foreign transaction fee on any international purchases can be extremely rewarding in itself. Many other travel credit cards such as AAdvantage MileUp Card will often still have this fee, which only adds more reason to give the Starwood Preferred Guest Credit Card a second glance. Even though this card has an annual fee of $95, this fee is waived the first year that the cardholder has an open and active account. This, on top of the reward bonus new members receive and the already great travel rewards that cardholders of the Starwood Preferred Guest Credit Card get, this is already an added bonus onto an already extremely generous travel rewards card. Let’s take a look at the drawbacks of the Starwood credit card and see if it’s the right one for your wallet or not. The Starwood Preferred Guest Credit Card doesn’t offer any type of introductory APR for new cardholders like many new credit cards, not just travel rewards credit card, offer new customers. Considering that the standard variable APR for the Starwood Preferred Guest Credit Card is 17.99%-26.99%, this is something that people should take into consideration when doing their research on credit cards. While there is a wide selection of rewards to choose from when redeeming points that you’ve earned with the Starwood Preferred Guest Credit Card, the hotel is rather higher end hotels overall, which results in needing a large amount of points to redeem any nights. While this isn’t a large inconvenience due to the fact that it is designed for specific hotels, in particular, it still could deter potential new cardholders. While the annual fee of $95 is waived the first year, this is still a standard annual fee that many cards to have. This annual fee isn’t something new, and it comes with the territory of credit cards in general, but is still something potential cardholders need to know. 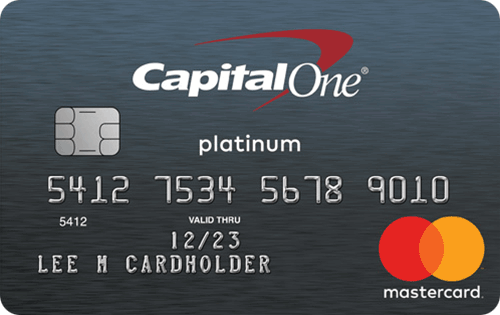 The Capital One Venture Rewards Credit Cards offers a 50,000 mile rewards bonus when you spend $3,000 in the first month, a lower regular APR compared to the Starwood Preferred Guest Credit Card (15.24%-25.24% compared to 17.99%-26.99%), and has a similar reward bonuses much like the Starwood Preferred Guest Credit Card. The biggest difference between these two cards is mainly the hotels and airline chains that the rewards can be redeemed at. Another major distinction between these two cards is that the Capital One Venture Rewards Credit Card allows you to redeem points for any travel expense, whereas the Starwood Preferred Guest Credit Card only allows point redemption with specific things like hotel stays and airline tickets. The IHG Rewards Club Premier Credit Card has a great rewards rate on all IHG purchases, as well as other fantastic benefits for frequent IHG customers. When you use your IHG Rewards Club Premier Credit Card on any IHG purchase, you’ll earn ten times the reward points per dollar spent, which is calculated to be approximately a 6% return on your money spend on an IHG purchase. These points are redeemable for free night stays at IHG hotels, upgrades for rooms, and other IHG purchases that you might need. However, this card is certainly designed for IHG customers and larger IHG purchases, so if you are looking for a more versatile hotel or travel credit card, then this might not be the right card for you. Both are from the same family since Starwood is now part of Marriot network. The Marriot Rewards Premier Credit Card offers similar rewards and benefits for guests who stay at the Marriott often. The Marriot Rewards Premier Credit Card has an $85 annual fee, and features a 3% rewards rate when you use the card at any Marriott location. Is the Starwood Preferred Guest Card Right for You? If you’re in the market for a new travel rewards credit card, then the Starwood Preferred Guest Credit Card is an extremely great place to start looking. Between the annual free night stay, the great rewards points, and the options for rewards that can be redeemed, the Starwood Preferred Guest Credit Card could be a great addition to your wallet. For continuous Marriott hotel stayer, the Starwood Preferred Guest Credit Card is an even better deal.